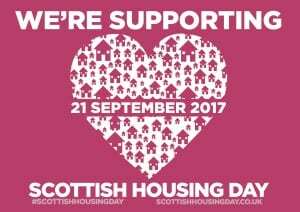 Homes for Scotland’s Scottish Housing Day 2017 takes place on 21 September, and one of the day’s main themes is the challenges that face younger people when it comes to accessing housing. The Scottish Government-backed Help to Buy scheme, which allows buyers to purchase a new-build home up to the value of £200,000 with only a 5% deposit, is one of the most effective helping hands that first time buyers can get to take that first step onto the property ladder. With this scheme, buyers purchasing a new-build home can get an equity loan from the Scottish Government for up to 15% of the value of the property. With high quality homes that won’t break the bank, family-run housebuilder Muir Homes has properties available across many of its developments that qualify for Help to Buy. Our new homes for sale at Sovereign Gate in Peterhead, Aberdeenshire offers a wide range of house types that are eligible for Help to Buy, from two-bedroom cottage apartments and linked semi-detached homes to three-bedroom semi-detached homes and bungalows. Prices start from just £136,000. Also in Aberdeenshire, at The Grange in Laurencekirk, the semi-detached three-bedroom Kinkell home, priced at £199,995, is eligible for Help to Buy. Castlefleurie in Leven, Fife is a dream come true for first-time buyers. With prices ranging from just £132,500 to £183,000, all currently available homes at Castlefleurie are eligible for Help to Buy. Also in Fife, the Silverdykes development in Cellardyke, Anstruther has prices starting from £141,950 for the two-bedroom Kellie cottage apartment. At Strathord Park, Stanley (near Perth), prices start from £163,000 for the three-bedroom semi-detached Lewis. All Muir homes are built with exceptional care and attention to detail, using the latest building techniques and materials. Buyers have the peace of mind of a 10 year Premier warranty, maintenance-free windows and external doors, and energy efficient features including double glazing and high levels of insulation. “Help to Buy is an excellent way for first time buyers to get onto the property ladder, but it is just one of the many good reasons to consider a new-build home. « A happy buyer with Help to Buy at Silverdykes!